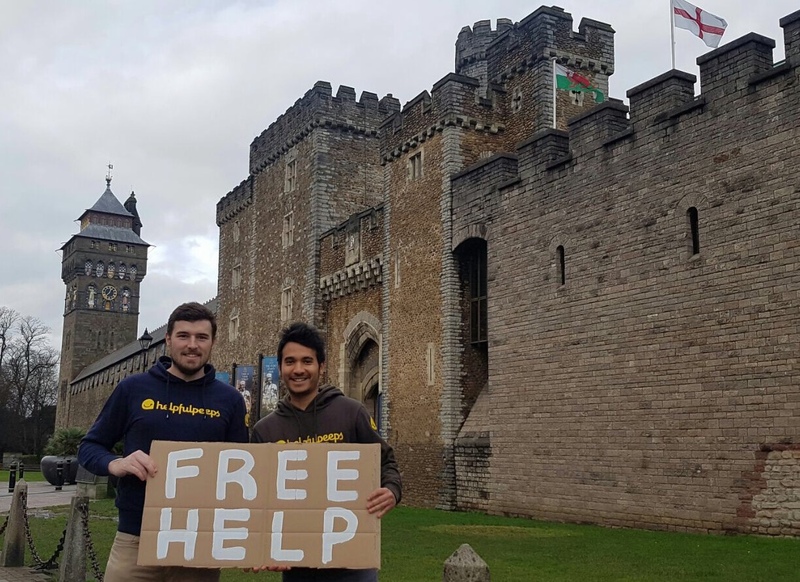 Helpfulpeeps is a new social network born from a collective belief that life is better when we help each other, and now it’s coming to Cardiff. Founded by Saf Nazeer and Simon Hills, Helpfulpeeps is on a mission to bring back community spirit in an increasingly disconnected world. Since launching in Bristol last year, they have grown Helpfulpeeps into an online community of 25,000 members sharing their time, energy, skills and knowledge to help each other for free. They have a simple ethos: ‘ask for help when you want and help others when you can’. All help on the site is given for free – no transaction or exchange; just good old-fashioned community help. The website tells you who needs help with what and where, and puts you in touch directly. Whether it’s cat sitting or learning a new language, moving a sofa or lending a hand at a charity event, simply post your request and ask for help. Members can then respond by commenting or via private message to work out the details between you. It’s a fantastic way to get involved in your community, restore your faith in humanity and make new lifelong friends. So if you need help with something or would like to do a good turn and help someone out, it’s easy to become a member – simply go to www.helpfulpeeps.com and sign up. It’s totally free, and always will be.